Spring is in the air which means weddings, graduations and vacations are coming up quickly. You want to lose weight and remove fat, so you look and feel your best around family and friends. But you don’t have much time. You’ve tried different diets, fasts, exercise programs, and even bootcamp training! But nothing worked. What do you do now? A step by step holistic health approach can work wonders. Here’s how. Step 1. Take a Deep Breath! Being stressed out about losing weight can actually lead to more weight gain. When you’re under stress for whatever reason, healthy eating is often one of the first things to go. You may eat more to fill your emotional needs or grab fast food, because it takes less time and is easy. Also, when you are stressed out, your body increases production of the hormone cortisol which is thought to contribute to weight gain. Take time to meditate every day. Meditation helps you focus your attention, allowing you to find calmness and manage stress. In addition, studies show that meditation can help you become more aware of your thoughts and behaviors related to emotional eating. Step 2. Ask Your Holistic Doctor About Weight Loss. 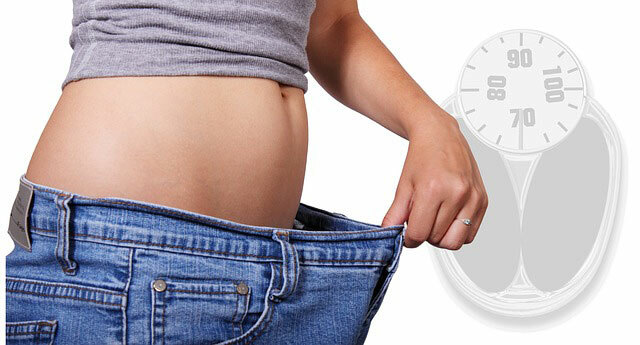 A doctor can help you find safe and effective weight loss program that helps you lose weight quickly and keep it off. You want a holistic doctor who looks at your overall health—including all physical, emotional and environmental health factors—not just the food you eat. Ask your doctor to recommend a healthy meal replacement program that suppresses your appetite while providing nutrients. Once you lose the weight, you’ll want to keep it off. A study by the National Institutes of Health found that people who worked with a health coach lost nine percent of their body weight in 24 weeks, compared to only six percent lost by the people without a health coach. Losing weight isn’t easy and working with a holistic health coach can provide great support. Step 3. Check out Non-Surgical Fat Removal. Today, you can remove stubborn fat in the belly, thighs, and love handles with a virtually painless non-surgical procedure, called SculpSure™. Using a controlled light-based laser technology, this new FDA-approved treatment removes fat deposits by penetrating the skin’s surface to kill fat cells. It’s a simple office treatment that only takes a half-hour at most. Afterwards, you can resume your normal activities, including a trip to the gym. Best results are seen in 10 to 12 weeks, where you can lose up to 24% of the targeted fat. At the Holistic Healing Heart Center, we can help you get the look you want quickly and safely. And, help you keep that look for many more weddings, graduations, and vacations to come. You can also get great tips on how to look and feel your best in Dr. Cynthia’s book, “Your Vibrant Heart.” To learn more, contact Dr. Cynthia at the Holistic Healing Heart Center at 818-842-1410.